Sorry, Wall Street commuters — we’ve jacked your look. Typically only seen on business professionals on the go, the sneaker worn with anything but your gym clothes has long been a fashion don’t. 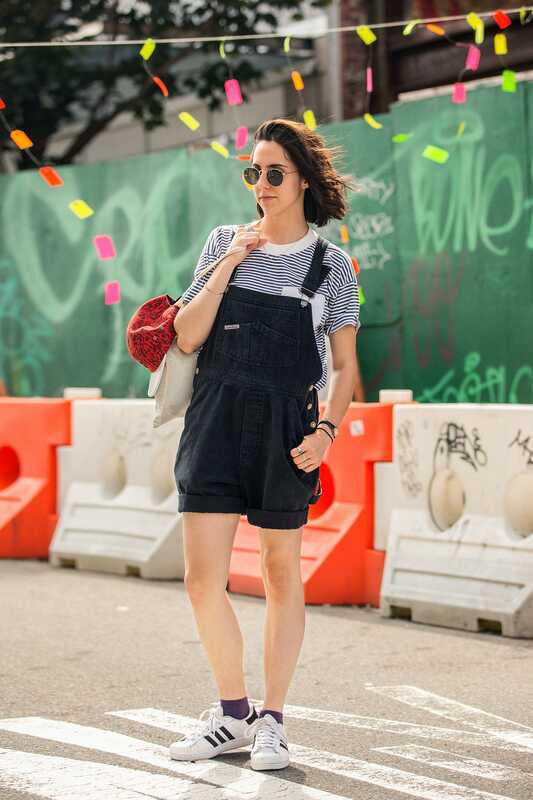 These days, you reach for your Nike Frees, classic Converses, or Stan Smiths as often as you choose strappy sandals, pretty platforms, or statement stilettos. Walkability is the new black — and for that, we (and our podiatrists) are thankful. 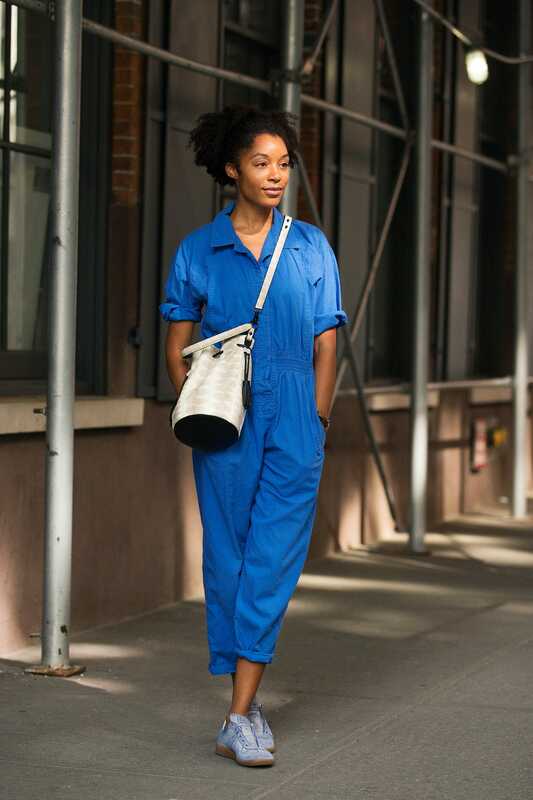 Maybe because NYC is such a walking-person’s city, but styled sneakers are ubiquitous here. From crisp-white plimsolls to track-worthy trainers that look just as good with an evening jumpsuit, these are the tennis shoes (and the outfits to match) making waves on the island. We’re loving the color story Rana Batyske is telling with her cobalt-lavender pairing. A close-up on the purple trainers. The hidden wedge to make Lana Zakocela’s legs look even leggier. That’s at least two inches in there! Baby blue Nikes that match the face of Veranika Antsipava’s Céline bag. 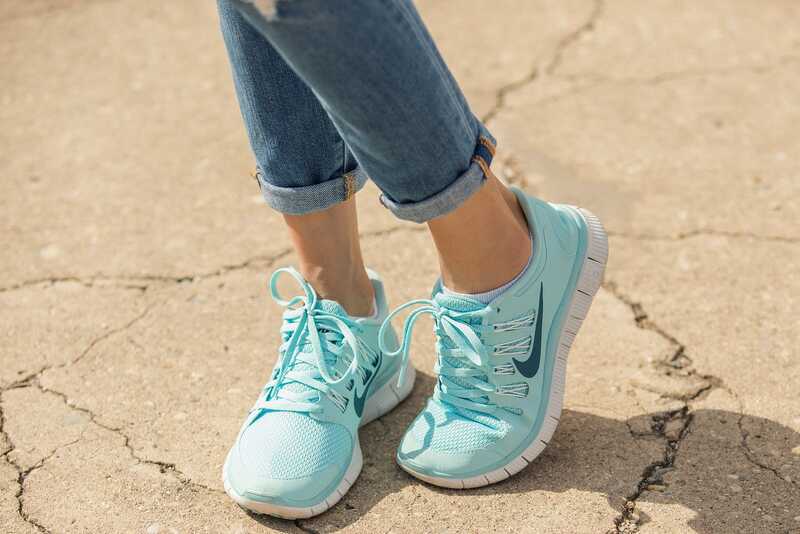 Nike’s Free Runs are definitely on the sneaker leaderboard. Now, these are a ’90s throwback we welcome. 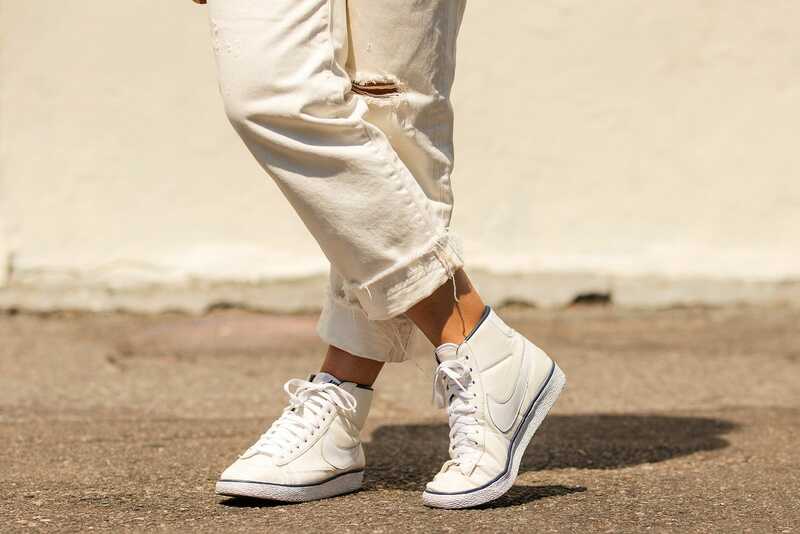 There are few things that scream summer like a slightly scuffed low-top sneaker. We’re hearing Eloise Opryszko’s Nikes loud and clear. That side view — hubba hubba, right? Another pair of Roshes, this time with a patterned tea dress on Madeleine Jones. Color play at its finest. 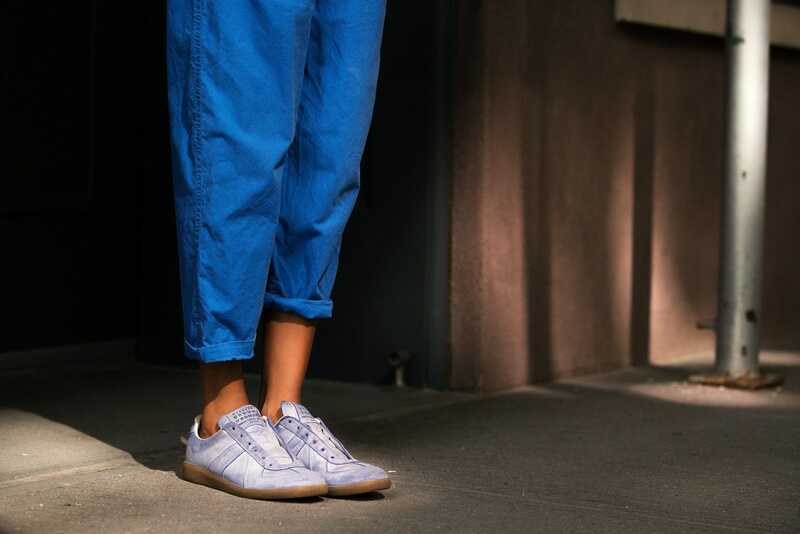 Classic adidas Superstars on Sara Rados. 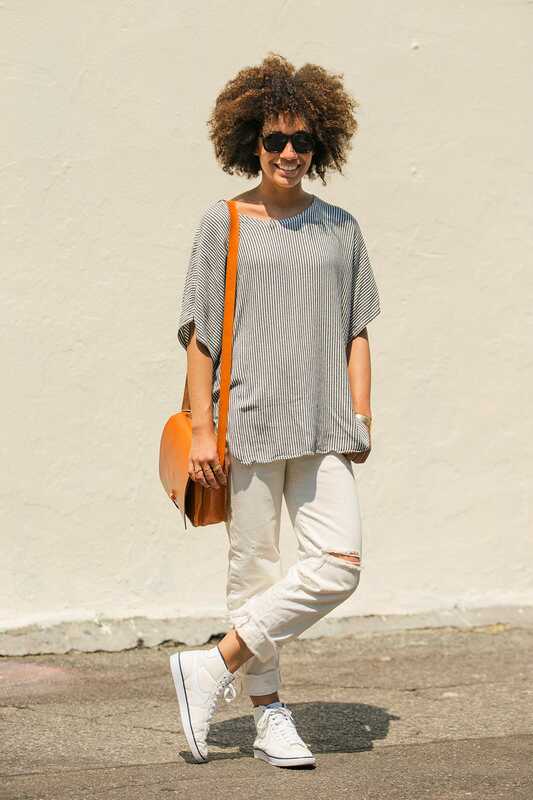 Callie Lyons rocks the super-popular A.P.C. for Nike collaboration. Look closely. Kristie Marshall’s Keep sneakers are more purrfect than you can imagine. Can you see it better meow? Aside from having the best name, ever, Breezy Dotson also sports one of the best socks-and-sneaks combos we’ve seen recently. That bit of sparkle just makes it. A pebbled pair of Nikes freshen up Martina Malmberg’s skirt-and-blouse combo. Those sneakers make Jess McCall look like anything but a farmer in those clothes.